UPDATE: Jaguars owner Wayne Weaver confirmed that the team has entered into an agreement to sell the team to Illinois businessman Shahid Khan. Weaver said that the sale received the endorsement from NFL Commissioner Roger Goodell and he’s confident that the sale will be ratified by the league’s finance committee on December 6. A full vote of the 32 owners will take place on December 14 in Dallas. 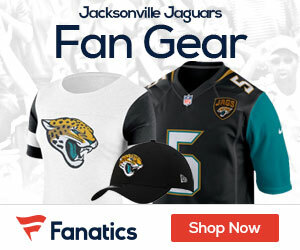 Del Rio out, Tucker in: The Jacksonville Jaguars have fired head coach Jack Del Rio, ESPN’s Chris Mortensen reports. Defensive coordinator Mel Tucker will be the interim head coach, Tania Ganguli of the Florida Times-Union reports. GM staying: Furthermore, the franchise has extended the contract of general manager Gene Smith, ESPN’s Chris Mortensen reports. Smith has been with the Jaguars since 1995 and has been the team’s general manager since January of 2009. Smith was in the final year of his contract and reportedly turned down an extension in the offseason. “A contract was extended to me and I declined it,” Smith told the Florida Times-Union earlier this month. “I did not think I deserved an extension based on the conditions. Our scouts and other employees weren’t being extended. I didn’t think I deserved it. Since taking over as general manager, the Jaguars are 18-25, but did add a potential franchise quarterback (Blaine Gabbert) with their first round pick in 2011. The Jaguars have 51 players under contract for 2012 – most in the NFL — with around $86 million in cash commitments and $103 million in salary cap commitments for next season. Also there’s more: There are additional reports by ESPN that Weaver is selling the team, with Sports Illustrated’s Peter King naming Illinois-based businessman Shahid Khan as the potential buyer. Khan attempted to purchase the St. Louis Rams in 2010, but minority owner Stan Kroenke blocked the sale by exercising his option to purchase the remaining share of the club. Khan is expected to keep the Jaguars in Jacksonville.